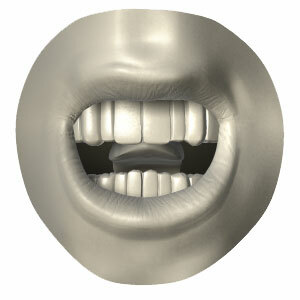 I've often looked for good examples of 3D phoneme mouth shapes; but there isn't that much material available out there publicly - it's about time someone uploaded, so here goes :o) The first run of these standard 10 Preston Blair mouth shapes took about 3 hours to complete. 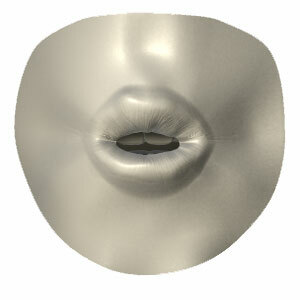 I've revisited and updated the data several times since then - testing them on several different dialogue examples. 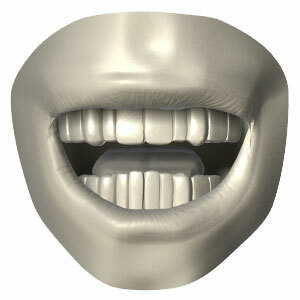 All shapes shown here conform to the standard Preston Blair phoneme series. 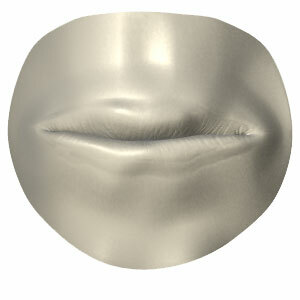 Each image has been rendered at 300x300; for all you LipSynch users out there (part of the old Hash Inc. Animation:Master) or Magpie, feel free to convert these images to TGA or BMP as needed. I find they work well for the initial blocking out of most dialogue sequences. If you find them useful, great, glad I could help!! Check back here from time to time as I'll continue to revise the content; already posted are some extended phoneme shape examples. Each pose is setup entirely with muscle level control point changes, no bones involved. 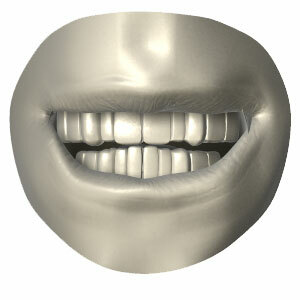 The top set of teeth stay in a fixed location for all poses, this locks the upper jaw to the characters skull. 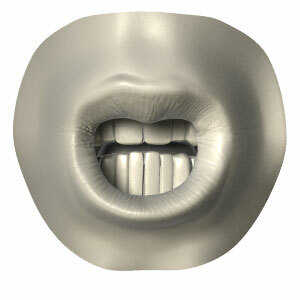 If you don't, you'll end up with a set of false teeth, or worse, your character may end up looking like it's about to take out one of the supporting cast in an Alien style chomp out! 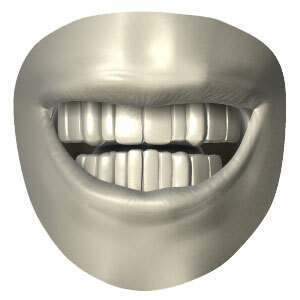 Depending on the feature set of your chosen software, a beneficial technique can be to create a low level set of poses relating to the underlying muscle movement of a face. 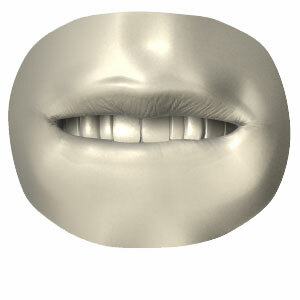 I often build poses for Lip Stretcher, Lip Tightener, Sneering Muscle, Bottom Lip, Tongue, Smiling Muscle, Sad Muscle and Jaw. Various combinations of these poses can be mixed together to create the desired phoneme shape and give you greater control when you come to fine tune your dialogue performance. Remember to add some asymmetry into your facial poses! 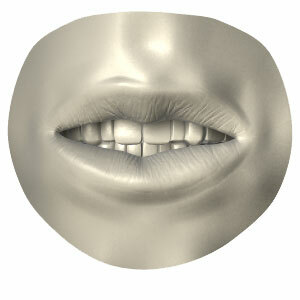 The images here are devoid of emotion and personality so as to show each phoneme clearly. This is a bad thing for a real dialogue performance, so make sure you liven up your characters with asymmetrical expressions - just think of the gag with the little green aliens in Toy Story when the all go "Ooooooooo..."